Spragens & Higdon, P.S.C. is the successor to a law firm established in 1906 by W. H. Spragens. Robert M. Spragens (1920-1998) and Robert Spragens, Jr., are the son and grandson, respectively, of W. H. Spragens. 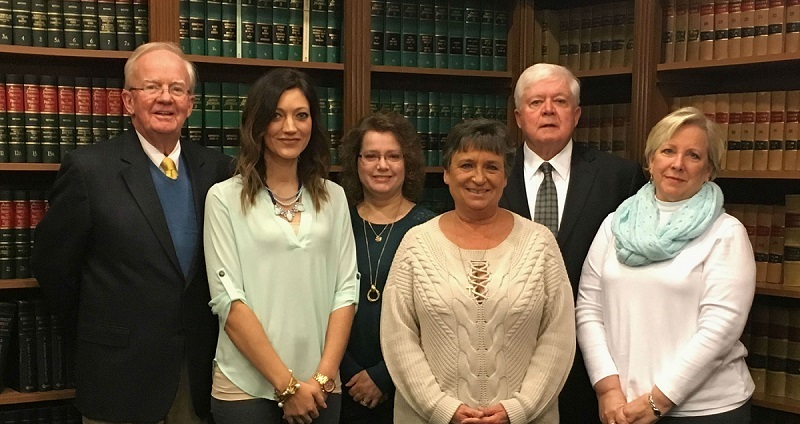 Except for a hiatus between 1938 and 1946 when W. H. Spragens served as judge of the Marion Circuit Court, at least one member of the Spragens family has practiced law at this same address since 1906. Evolving from a localized general practice, the law firm now provides a wide range of services throughout the region. Our goal is to identify your needs and assist you to your satisfaction, as quickly as possible, with integrity and confidentiality. Take I-65 South to exit 112. Turn left onto Hwy. 245 and proceed to Bardstown. Stay on Hwy. 245 until it ends at a T. Turn left onto Hwy. 150 and proceed to Springfield. Turn right at the traffic light onto Hwy. 55 and proceed to Lebanon. Take Bluegrass Parkway West to exit 42. Turn left onto Hwy. 555 and proceed to Springfield. Hwy. 555 becomes Hwy. 55 at traffic light in Springfield. Stay straight and proceed to Lebanon.